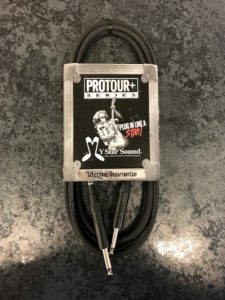 Pro Series Instrument Cable Catalog Page "2"
A staple for any musician, the MyStarSound Pro Series instrument/guitar cable is a quality, cost efficient cable choice. Because the Pro Series cable is manufactured using our finest 20-gauge, 41 strand copper conductor cable it provides the ultimate fidelity. A 95% spiral shield protects from outside interference and ensures a pure signal. Covered by MyStarSound’s TPE outer jacket, this professional grade cable stands up to the rigorous demand found touring, and still remains flexible. Roll out your cable easily right out of the tour case! Amphenol connectors come standard with sealed ends and your choice of colored & personalized heat shrink. All MyStarSound Pro Series cable is covered by our lifetime warranty and can be ordered with your choice of connectors. Contact your MyStarSound representative today for additional details and pricing. Call your MyStarSound Representative for pricing! Studio recording or live events demand ongoing and consistent quality from all of the pieces that are used to produce them. The MyStarSound Pro Tour Plus, therefore, is the pinnacle of perfection expressly for these situations. Constructed with the finest 20-gauge, 41 strand copper conductor cable, the Pro Tour Plus cable provides ultimate fidelity for the purest sound. Additionally, the Pro Tour Plus assembly comes standard with 95% Spiral shielding providing the maximum protection from outside interference. Covered by a TPE outer jacket that is durable under the rigorous demands of on-the-road usage, the Pro Tour Plus cable maintains flexibility and easily rolls out from its tour case. Neutrik connectors come standard with each order. Hand crafted cable assemblies are also covered with heat shrink on each sealed end for additional strain relief. Standard and custom lengths are available, as well as your choice of connector. Contact your MyStarSound representative today for additional information or pricing. Extreme Studio Gold! 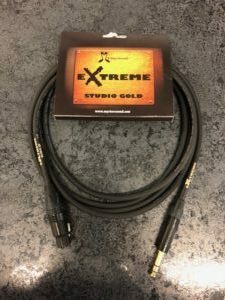 Catalog Page "3"
Certainly considered to be the “Holy Grail” of instrument/ guitar cable, the Extreme Studio Gold series cable from MyStarSound is available as instrument, microphone, or patch cable. Featuring a 24 AWG heavy duty jacket, 2-twisted pair, 42 strand pure copper connectors, the Extreme Studio Gold is for the serious professional artist, who expects only the purest sound while recording or performing. 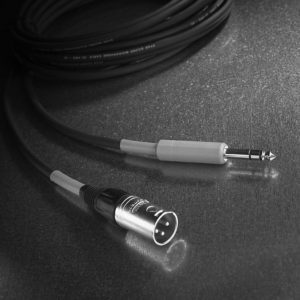 Each studio quality cable comes standard with the Neutrik NP Gold Series connector, as well as MyStarSound’s lifetime warranty. Available in standard and custom lengths, contact your MyStarSound representative today for details and pricing. 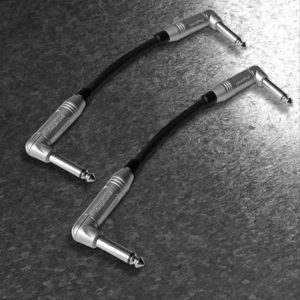 Stereo guitar cable is a specialty product designed for stereo instruments that send one signal out to dual amplifiers. Because many professionals are using equipment such as the Acoustic /Electric guitar, connection to both a traditional and acoustic guitar amplifier is necessary. 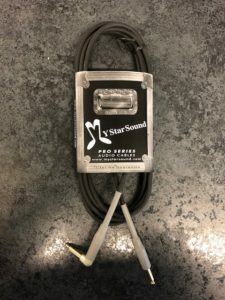 For this reason, MyStarSound’s variation of the WYE cable was developed with dual 20-gauge instrument wire and your choice of straight or right angle TRS plugs on the instrument end. The Amplifier ends are assembled with standard ¼” plugs then wrapped with heat shrink and labeled with your information. Order these in any of our 4 standard lengths, or contact your MyStarSound representative today for customized information or pricing. Stomp Box Specials Catalog Page "4"
“Stomp Box Specials” paired cable kit, is inspired by having a musician who happens to play guitar on our team. Set up is quick and easy with MyStarSound’s short instrument cables sold in a kit for those out there that use two or more floor effect boxes and need that reliable connection between them that can be relied on. Standard lengths include, 6,12, & 18 inches which allows any peddle to be connected to any pedal board easily. All Stomp Box Special ends use Amphenol right angle plugs, with MyStarSound’s easy-flex 20-gauge instrument wire. Because durability is a must, each cable is completed with heat shrink on both end for extra assurance. Contact your MyStarSound representative today for additional details or pricing. Pro Series Insert Cable Catalog Page " 6 "
MyStarSound “Insert” Cables are used to patch in (insert) effect units to a single channel or a group send on mixing consoles. Each cable is handcrafted with a stereo 1/4" TRS plug that splits into a pair of 1/4" ends and labeled in/out. 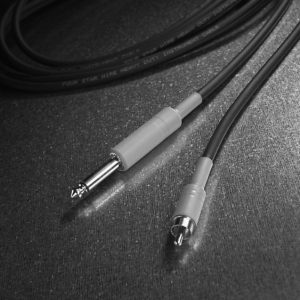 MyStarSound insert cables are built with dual 20-gauge cable then finished with heat shrink on all ends. Standard lengths range from 3 Ft to 20 Ft, for custom lengths or connectors please contact your MyStarSound representative details and pricing. Wireless Cables Catalog Page "25"
Even wireless platforms need a power cable. Wireless connections rely on a high quality signal to be sent from the source to the transmitter. Make sure your wireless set up performs flawlessly, with MyStarSound’s high quality cable specifically manufactured for wireless circumstances. MyStarSound uses the best 24-gauge flexible-but-thin cable with your choice of connector and length, which allows them to be used with any brand of wireless equipment. For additional details or pricing, contact your MyStarSound representative today. 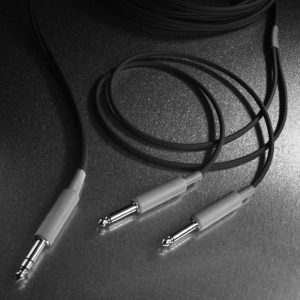 For the artist who changes instruments during a performance, MyStarSound’s Pro Series Quiet cable is just the ticket! No more pop or hum when pulling a live cable out its jack, Our assembly team uses 20-gauge instrument cable with the Amphenol brand Q-plug to eliminate unwanted stage noise. Choose right angle or straight ends with standard or custom lengths. Please contact your MyStarSound representative for additional details and pricing. 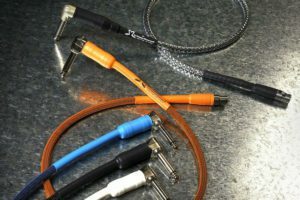 Patch Cables Balanced Catalog Page " 5"
Designed to deliver the full spectrum of sound in all situations, the MyStarSound Balanced Patch Cables are built in-house with only the best 20-gauge, 2 conductor, 95% braided shield wire. Choose the Amphenol ¼” TRS plug or an XLR male/female connector to suit any need. As with all Pro Series cables, the MyStarSound© Balanced Patch cable come with heat shrink on the ends and our MyStarSound lifetime guarantee. Available in standard and custom lengths for your convenience. Please contact your MyStarSound© representative for additional details or pricing. Patch Cables Unbalanced Catalog Page " 5"
Unbalanced Patch Cable is designed for use in those inter-connect situations where balanced just isn't applicable. Our unbalanced cable features MyStarSound's special 20-gauge single conductor wire with RCA ends. Optional ends are available, contact your MyStarSound representative for additional details or pricing. Because multi-tasking is a necessity, MyStarSound offers a Dual Patch Cable, often considered to be one of the handiest cables found in any sound engineer’s arsenal. Handcrafted at Four Star and Wire’s US facilities, these assemblies are used to interconnect various pieces of stereo equipment in the recording studio, at home or in a live sound system. Each cable is manufactured with MyStarSound's proprietary dual, 20-gauge, single conductor wire with RCA ends then marked for left and right channels. Gold connectors are available as an option, as well as standard or custom lengths. Please contact your MyStarSound representative for additional details or pricing.